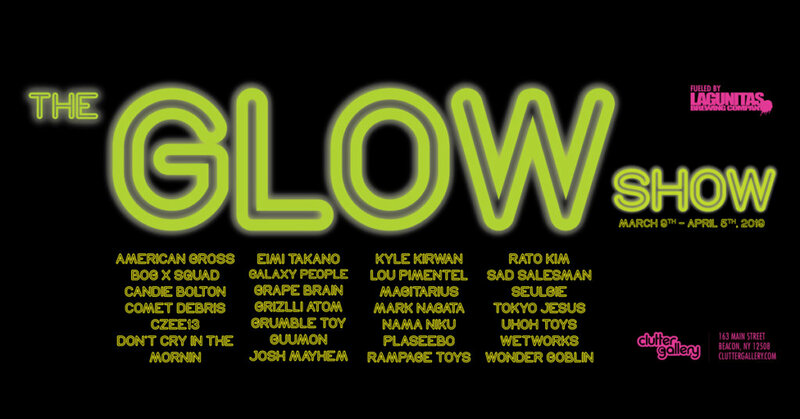 Let it Gloooowww, Let it GLoooooooowwww (in the sound of Frozen “Let it Go”) This weekend will see Clutter Gallery light up NYC with their “Glow Show”. Calling upon artists from around the world to make mark on NYC! Below are a few teasers. The opening reception will be free to the public and take place on March 9th from 6-9pm. The works will remain on display until April 5th 2019.